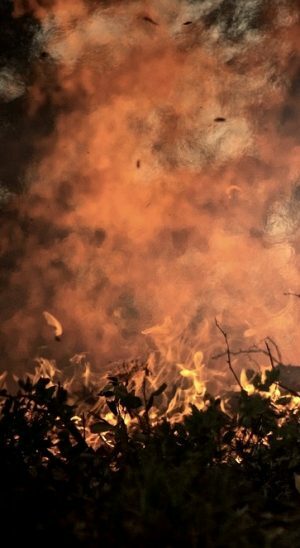 The recent hot spell has seen a number of fires, not only in the UK but across the world (Arizona , Victoria Australia, Indonesia). Spells of extreme heat (and drought) have been known throughout history but it would seem that with climate change / global warming extreme events have become more common. Data show that the years of the 21st century are among the warmest on record - global air temperatures have risen by 1oC since the industrial revolution. Extreme temperatures have been recorded in many places across the globe. Ouargla in Algeria soared to 124.3o F (51.3oC), Denver recorded at temperature of 105o F, Montreal recorded 97.9o F, Glasgow hit 89.4o F, Shannon in Ireland reached 89.6o F, Tbilisi (Georgia) soared to 104.9o F and parts of Pakistan are reported to have reached 50oC. No record by itself can be ascribed to global warming but these and many other records across the globe are consistent with the extremes that can now be expected (more often) in a world that is warming - as atmospheric greenhouse gas levels increase due to human activity (we have entered the anthropocene). Hot and dry conditions mean that plant material can dry out quickly, so that a thicker layer of pant material / litter is formed - which provides significant fuel for fires. Studies of some areas suggest that the increased Winter and Spring rainfall (again associated with climate change) encourages plant growth, creating more material for fires (when dry conditions obtain later in the year). In the last few weeks, there have been fires on Saddleworth Moor (near Tameside and Oldham) and Winter Hill, near Bolton. These areas are covered with peat moor, the fire burns underground and then sets alight different parts of the moor. This deep burning makes it difficult to fight the fire, and it releases large amounts of smoke and reaches very high temperatures. 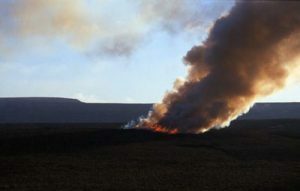 The fires cover ed several square miles of moorland, and have lead to the evacuation of local residents and the discomfort of many people further afield - due to the smoke billowing from the fires. The impact of the fires on local wildlife will not be known for some time but some of the effects of the fires may be predicted. The Saddleworth area has a small population of mountain hares, hopefully they have been able to escape from the immediate effects of the fire. However, their ecosystem has essentially been destroyed - things will not be the same on their return. Early summer is the 'middle' of the bird breeding season. Some birds may still have eggs, some will have newly hatched or fledged offspring & young chicks. Ground nesting birds like skylarks and meadow pipits will be particularly affected. The depth of the fire and its intensity means that the soil and its contents will have been ‘baked’. The seed bank (the store of seeds in the soil) will have been destroyed as will many invertebrates - worms, insects, spiders, woodlice. It is also possible that small mammals (voles, mice etc) will have been killed in the burrows as the fire consumes oxygen voraciously. 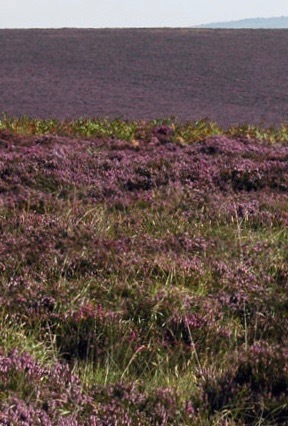 It takes a long time for the characteristic moorland vegetation return. The burned areas might 'green up' within two to three years, but as it is the basis of the moorland food chain, it will be much longer for food chains and webs to be re-established. Without the insects and other invertebrates, many birds and small mammals will be without their food sources. Beyond the peat moors, the hot weather has effects on transport infra-structure - buckling rails and melting roads. 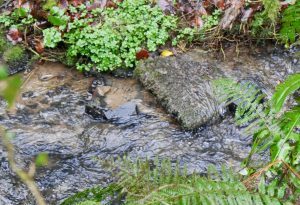 Rivers in Wales are running at very low levels. The low water levels have meant fish have been left stranded on the riverbed unable to return to the water flow. In north Herefordshire, the Environment Agency has saved trout and salmon from the River Teme, where water levels fell dramatically. Farmers are worried about food for cattle and sheep - grass cannot grow properly because of the heat and dryness. The prolonged heat is not without its effects on us - from the effects of exposure to high levels of UV light to dehydration. The very young and the elderly are most at risk from a 'hot spell" - the 2003 heatwave across Europe is said to have caused several thousand 'excess' deaths' [mostly of the elderly]. More recently, the Canadian Broadcasting Corporation reported that 54 deaths were the result of high (record) temperatures in and around Montreal. Scots Pine, fire, and capercaillies.